Recently the use and style of Orangeries has altered greatly with more people adopting them as general all purpose rooms in their homes. With glass roofs providing so much more scope for consumers in terms of design, performance and aesthetics, the orangery is no longer considered just extra space to relax in when the weather is pleasant. 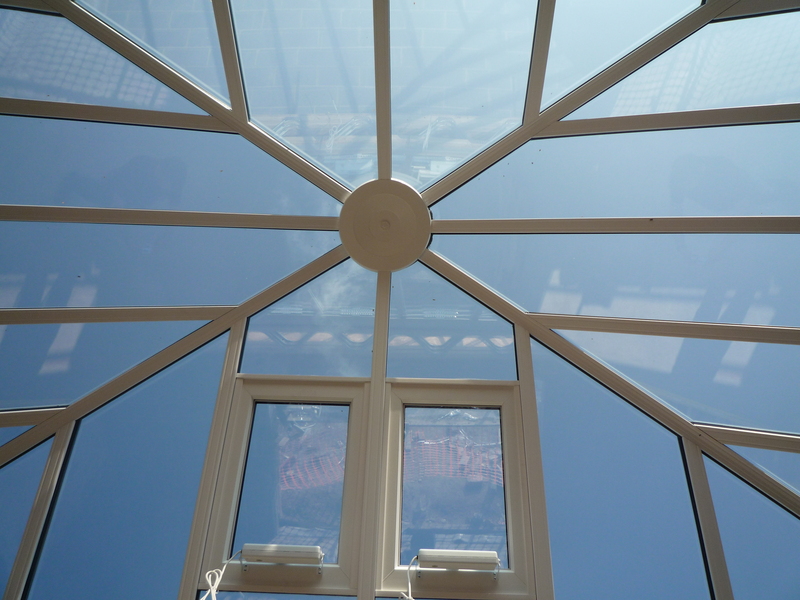 Additionally, as the world becomes more technically focused, Orangery Solutions has noticed that homeowners are becoming more demanding in their choices, wanting to use televisions, plasma screens and computers in their orangeries, which in turn, demands more from the glass roof in terms of glare reduction. As orangeries are now built as much to reflect lifestyles as to add value and space, triple glazed roof units also provide numerous advantages with greater insulation and improved noise reduction. While, triple glazing is not a new phenomenon to the UK, it has always been considered a specialist product in both the window and certainly orangery markets. For Paul Nellis, Managing Director at Orangery Solutions Ltd, he considers many architects are specifying the triple option for the roofing element as they consider that only the best insulation on the market should be used for premium build installations. While many consumers may still be relatively unaware of the advantages to be had from triple glazed roof units, Orangery Solutions believes that in the new build and self-build markets, many customers are grasping the advantages and potential to be had from designs incorporating triple roof glazing. For Orangery Solutions customers a 50% reduction in heat through the glass is achievable using specialist units. Typically a 44mm triple glass unit can have a U value as low as 0.6 while a 36mm unit provides a U value of just 0.8. Paul Nellis, comments, “Thermally efficient products give more diversity to the dynamics of orangery design. Homeowners have more scope with new orangery extensions as triple glazing guarantees everyday use. As legislative initiatives will force carbon emissions to almost zero by 2016 it is apparent that triple glazing will become a more popular choice glass roofing choice due to the lower U value it provides.